Small towns don’t get touted much as vacation destinations, but some — like Delaware, Ohio — deserve a visit. Besides its charming disposition, which you can read about in my previous post, a weekend getaway to Delaware is affordable and offers activities sure to create great family memories. I know we sure enjoyed living there! Why a getaway to Delaware? First, Delaware is the birthplace of our 19th President, Rutherford B. Hayes. The city high school is named in his honor, and the town has maintained its sense of Americana. 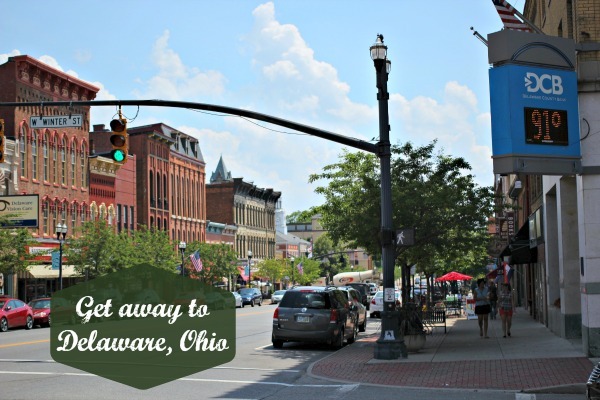 Delaware is home to Ohio Wesleyan University and sits just 25 miles north of Columbus, Ohio’s capital city. Like in real estate, where it’s all about location-location-location, Delaware’s proximity to the capital city has provided it some economic stability. But all this talk about economics won’t convince you to visit! So, read on! Downtown Delaware is a hub of activity. With a variety of shops and restaurants to please most every interest, the town’s streets are bustling. Some, like Endangered Species, have been a town staple for decades, though when I lived there it was known as Pat’s Records and had an address across the street. Other shops are newer, like Whit’s Frozen Custard, which opened in Delaware location four years ago. I enjoyed a single scoop while I was there — and I think Whit’s is here to stay! Wow! Creamy, cold and delicious! L: Whit’s downtown storefront, C: Beatles wall display at Endangered Species (you can take your photo there), R-top: Barley Hopsters, R-bottom: The Bare Bowl. Families enjoying a weekend getaway to Delaware might also enjoy an afternoon painting ceramics at The Bare Bowl, a Delaware staple since 2002. Once pottery is glazed and fired, they’ll ship your souvenir creation home to you! (BUDGET TIP: Check The Bare Bowl website for a money saving coupon!). Beer brewing hobbyists might enjoy Barley Hopsters, located in the center of town. Besides offering micro-brewing supplies, Barley Hopsters offers 500 micro-brewed beers and ciders and more than 50 micro-brewed root beers! See root beer! It’s family friendly. Dining options in Delaware include old-time favorites like Hamburger Inn, a Delaware staple since 1932, and Buns Restaurant, serving Delaware since 1864! Recommended by Ron, who I met on my recent trip, is Opa Grill and Tavern, specializing in Meditteranean fare. I haven’t eaten there yet, but it gets good reviews on Urban Spoon and TripAdvisor. Photo credit Buns Restaurant. Check out that arch over the street! How about parks and rec? Delaware’s commitment to community is evident in its parks and recreation department. 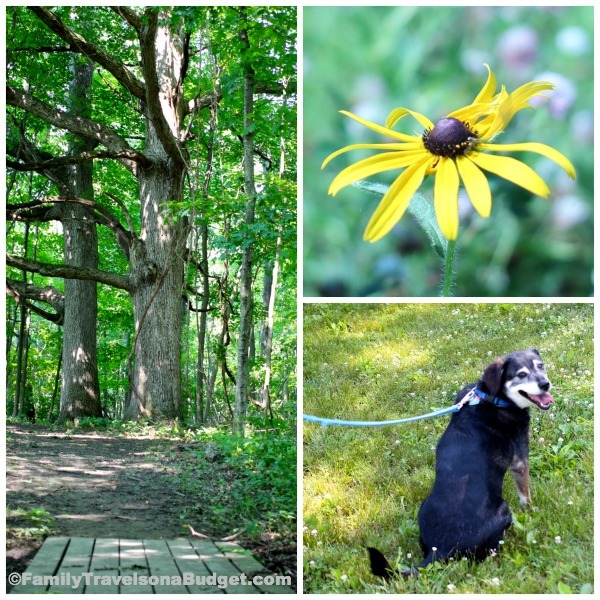 Families enjoying a weekend getaway to Delaware can enjoy the parks too! Mingo Park, which has been around for decades, continues to grow and expand to meet the needs of the community. It was hugely popular when I lived there and is even more popular now. The park offers a zero entry swimming pool with water slides, a skate park, running trails, ball fields and playgrounds. The pool can be enjoyed all day for only $6/adult and $4/kids ages 3-17. Other activities are free. Monthly during the summer, Movies @ Mingo offers free movie viewings — just bring your blanket and snacks and enjoy! 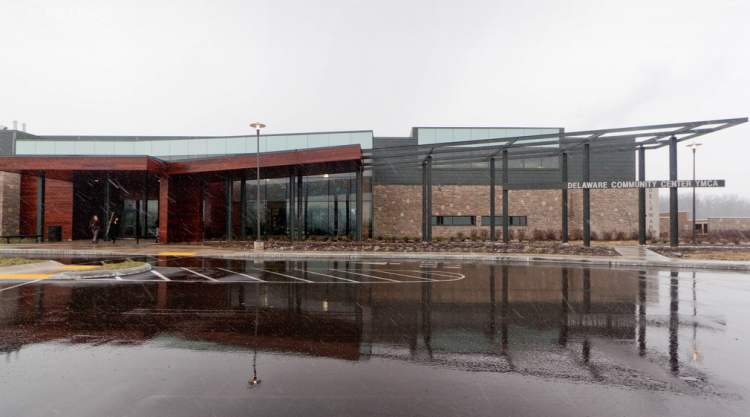 Just south of town, the YMCA Community Center of Delaware is a state of the art facility completed in 2012. As I explored town, many locals asked if I had seen the new YMCA yet. I did. It’s an incredible facility that reflects the community’s dedication to health and recreation. Besides the Olympic pool and other indoor facilities, the YMCA offers walking and hiking trails on the grounds. Besides these major parks and neighborhood pools, community members are dedicated to recreation in the region. Gallant Woods Preserve, located just northwest of the town was made available by generous donations from Charlotte Gallant, for whom the park is named, and an anonymous benefactor. The park preserves restored wetlands and prairies and includes informative displays along the trails. Popular in the wintertime, Buttermilk Hill provides a great place to go sledding. The park also has a playground, restrooms and geocaching activities (click here for more geocaching information). Admission is free and the park is open year-round. 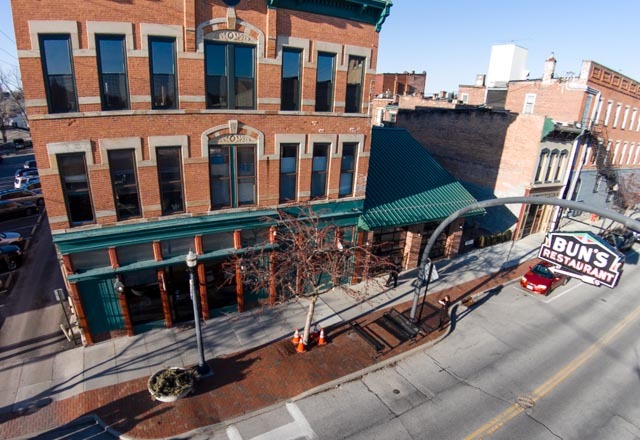 Besides local shops, restaurants and parks, Delaware County is home to two of Ohio’s State Parks, Delaware State Park and Alum Creek State Park. Both parks offer a variety of recreational activities, including hiking, boating and camping. Delaware has quite a few hotels, offering families a wide choice to fit any budget. Want something even less expensive? Try camping! There are a number of options in the area. Check restaurants and attraction websites before you go! Many offer money-saving coupons. The Delaware County Convention and Visitors Bureau is another great resource to help you plan a family getaway you’ll cherish! What’s the first thing you’d do on a weekend getaway to Delaware?